Be advised, the madness kicks into high gear around the 1:35 mark. At the intersection of martial arts and religion, madness and fraud meet on a corner called Faith. On this corner people can throw balls of chi energy to knock out opponents, and make their limbs impervious to sharp swords. Well, at least they believe they can. That may sound extreme, but as you'll see below, it's all too common. As humans, we obviously have a predisposition toward belief in madness. In fact, isn't all belief madness? Surely it is. Unless it's yours... We have to be careful, because it's easier to fall for it than most people think. And where there is madness, there is fraud; charlatans, mystery men, and 'powerful' people looking for those who need something to believe in, in order to sell them down the river, profiting as their victims float further and further away. Unfortunately, the martial arts consist more of bogus woo-woo than anything else. On one end of the belief continuum we have new age practitioners of age old malarky, harnessing the power of chi to seemingly magical effect. On the other end we have techniques and training methods that would only work in movies. Pulling back the curtain should be easy. But apparently it's not. People are attracted to gurus, special groups with special uniforms and special words, and super human abilities, not to mention life after death. Below are a few examples of madness and fraud in the martial arts and the unfortunate followers who believe. While they may be hilarious, the point in providing them here is not simply for entertainment, but to demonstrate the pure craziness large groups of people are happy to practice. The madness spans a continuum. But it always requires belief, an inability to see, a lack of logical thinking, and more than anything else, an unwillingness to think, test, and train in an alive manner. What's sad about such BS is that the practitioners actually believe in it. They have no clue how incredibly goofy they look, or that what they're doing is hocus pocus of their own design. The video above has got to be one of the best examples of BS in FMAs. It explains how the warrior king Lapu Lapu, the first national hero of the Philippines, had rituals that have influenced generations of martial artists. It shows a modern FMA practitioner using "contemporary versions of those warrior rituals" in order to strengthen his body so it is impervious to sharp swords. The fool proceeds to nearly chop his arm off. Seriously. This video is a classic. I'm amazed every time I watch it, and then saddened all over again at the people who have been so brainwashed. They look like nice, but very silly and misguided people. Another sample from the Yellow Bamboo practitioners. Remember, this is NOT a joke. The Japanese martial arts are also loaded with madness, from no-touch aikido throws and kiai magic to karate practitioners chopping horns off of bulls. This one is great. Look at all the spectators at this obviously serious event. None of them are calling BS. Do they also believe? Here we have a Japanese "kiai master", first shown taking out his students without touching them, and then trying his techniques on a "fighter", and getting beaten badly. The quality is poor all around, but the results predictable. Yes, Americans are no exception. Not only do they fall for woo-woo in the Asian martial arts, but they've come up with their own unique styles of magic and hocus pocus, as bad or worse than anything Asia can dish out. George Dillman is the master of American martial arts BS. In this National Geographic clip (it's really sad NG actually aired this garbage) you see Dillman knocking people out by throwing "chi balls" at them. Here's a link to an even more entertaining video of Dillman, which unfortunately has embedding turned off. Here's a great clip of a systema master from Russia. Notice how the happy the believers are, a common trait among believers of madness. The examples above may look extreme if you're not a member of a similar style, cult, or new age movement. Keep in mind however that they're no more extreme than the practices and beliefs of many socially accepted faith-based groups. But, they are good, visible physical examples of woo-woo that obviously defy logic and science, thus they are easier to spot. The less obvious end of the continuum can be equally detrimental however, especially when marketed as self defense. 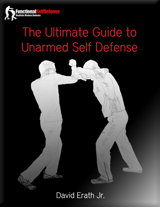 The majority of martial art and self defense training will not work in reality. 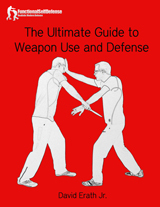 See our article, Why Most Martial Arts Don't Work, for more information on less apparent madness.